Looking to get fit fast? This 15-minute workout is the ultimate upper body session plan – it’s time to stop Googling what happens and start doing it. Feeling nervous? That’s normal. The hardest part is often ignoring negative self-talk that HIIT is only for the fit. It’s not! Here’s proof that while every woman is starting from her own unique place, she can achieve results. Repeat after us: You can do it and you will. Ready? Good, because we have secured an exclusive workout plan. Do each move for 30 seconds with a 30 second rest before the next. Sit on a chair, gripping the edge. 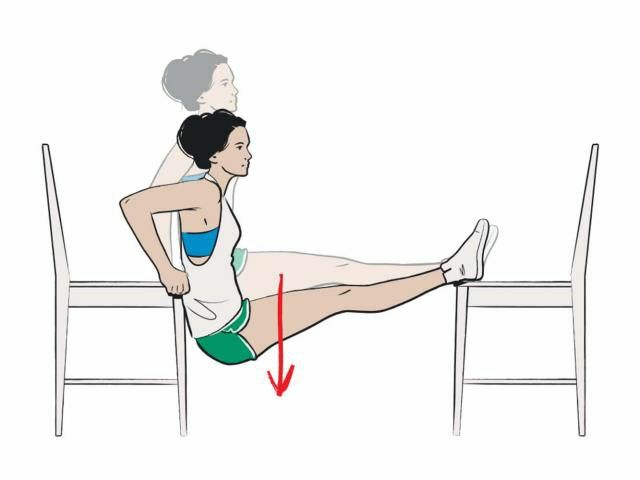 Extend your legs in front and rest your feet on another chair. Scoot your bum off the edge of the first so your weight is supported on your hands and feet. Lower till your arms form right angles, then push up and repeat. Your hands should be under, but just wider than, your shoulders. With your body straight, slowly lower halfway to the ground. Lower down till your chest nearly touches the floor, pause for another 5, then push back up to the top. Okay, arms in front with a dumbbell in each hand, palms facing the ceiling. Bend your wrists back so your biceps have to do all the work. Got it? 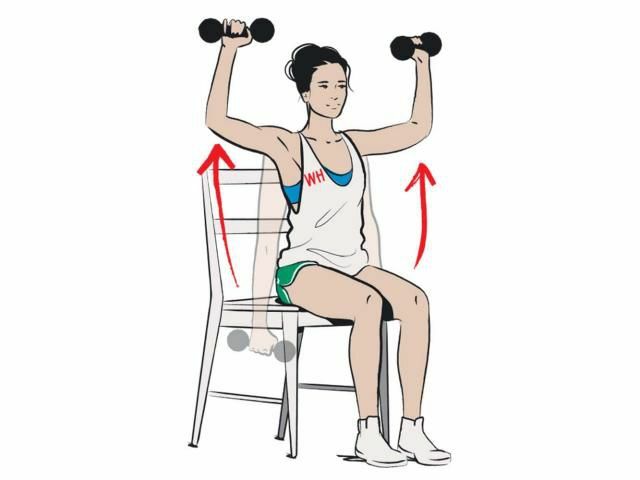 Keep upper arms still, exhale as you curl the weights into your body. 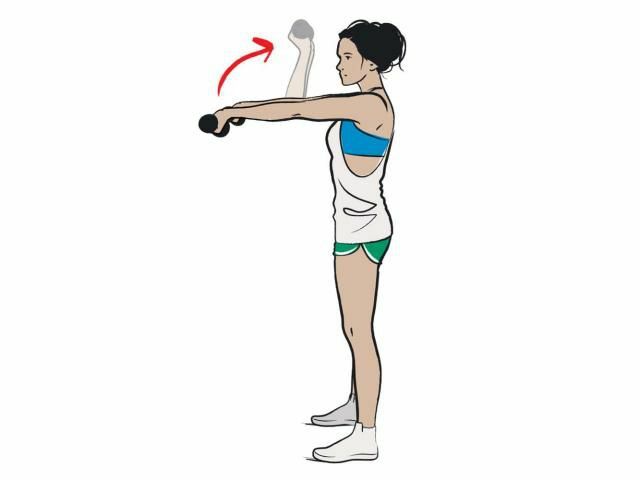 Stand with feet shoulder-width apart, a dumbbell in each hand. Sit on a chair, legs firmly planted on the floor, holding a dumbbell in each hand. Choose a weight you know will make you break a sweat. Raise your arms to shoulder height, forming right angles, palms facing forward.